If you listen to conspiracy theorists, illuminati celebrity membership is at an all-time high. Nobody famous, be they a musician, an actor, a comic, or a business mogul, makes it in Hollywood without significant sacrifices made to the mysterious dark cabal that dominates banking and media. And, as seen in these celebrity Illuminati videos those Illuminati members love to taunt us by putting their symbols, hand gestures, and coded language in plain sight for all of us to gawk at. The message from celebrities in the Illuminati is clear: you might know our secret, but there’s nothing you can do about it. Insert evil laugh here. But sometimes, the mask of control slips off and someone says something about the Illuminati that they aren’t supposed to. Because for a secret society, the Illuminati is remarkably well known and discussed in detail on the internet, particularly in videos on YouTube. Here are 10 celebrities speaking out about the Illuminati. Note that not all of these videos actually mention the Illuminati by name, but don’t be fooled. Whether discussing the government, the CIA, the “star whackers” killing off celebrities, or simply mentioning a great conspiracy, the message that these famous whistle-blowers are trying to convey is clear: whoever “they” are, they’re in control - and expose them at your own risk. The star of “Chappelle’s Show” is long known to be a proponent of conspiracy theories and secret societies being in control of the entertainment industry. 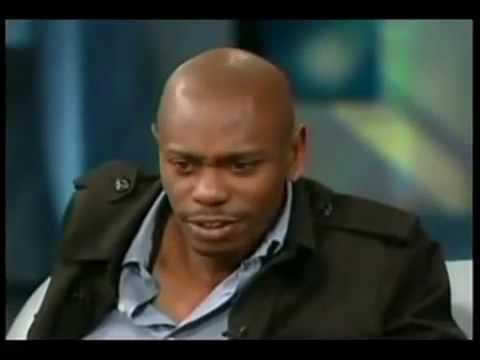 This video gives us Chappelle pontificating on several conspiracy-related topics, including John Kerry’s membership in the secretive Skull and Bones society. The reality star and model has spent much of her recent career talking about her many run-ins with the secret power players who control the entertainment industry. In this straight-to-the-camera ramble, Tequila talks about “exposing truths” and “releasing secret documents” of those who will eliminate her for speaking out. And what does she want to speak out about? Haters, of course! The ones that work for the government and the CIA, specifically. Apparently, our tax dollars are being used to build Tila hate sites, block comments from her supporters, and pay for “CIA dronebots” that are ruining her life. But don’t worry, she’s going to post proof on her website to debunk the false claims “they” are making. So when the Great Purge of Tila Tequila fans comes, don't say you weren't warned. Facing numerous charges against him, including failure to pay a $10,000 hotel bill, actor Randy Quaid went on the offense, embarking on a quest to expose the “star whackers” who were methodically offing his friends. Quaid didn't fear for his life - he feared for something even more precious: his money. His fortune was being ransacked from him by lawyers and agents, so he believed, and his only way to fight back was to push this dark cabalf into the light - lest he be discredited even further. When not bathing in the purple rain or making houses quake, the Purple One had quite the conspiratorial side. Witness this halting interview with Tavis Smiley, in which he talks about the “phenomenon” of chemtrails, another name for the lines in the sky made by hot exhaust from a jet engine hitting cold air. Some believe these trails are chemical agents sprayed by the Illuminati in order to depopulate the planet. In the video, Prince claims chemtrails made people "fight and argue" when he was a kid. Prince goes on to explain how everything he knew about history is wrong and that we’re all actually indentured servants. A baffled Smiley wisely steers the conversation back to promoting Prince’s new album.